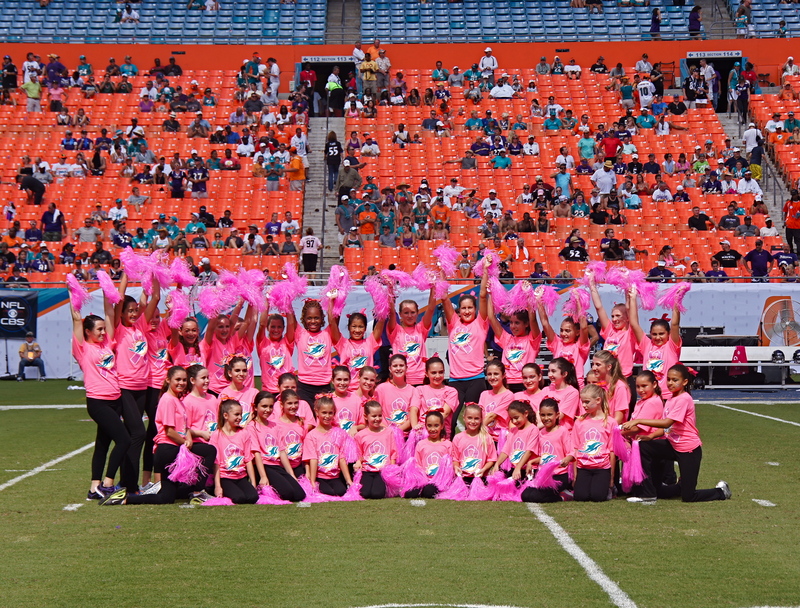 Forty-one students from Grandview Dance Academy, ranging in ages from 7 to 18, performed alongside Grammy Award-winning artist Gloria Gaynor during the halftime show at the Miami Dolphins vs. Baltimore Ravens on Sunday, October 6. Gaynor performed her hit single, “I Will Survive,” to promote Breast Cancer Awareness Month with female students from select area performing groups as her backup dancers. Photos from rehearsals for the event appeared in the October 9 editions of Boca Raton Forum and West Boca Forum. 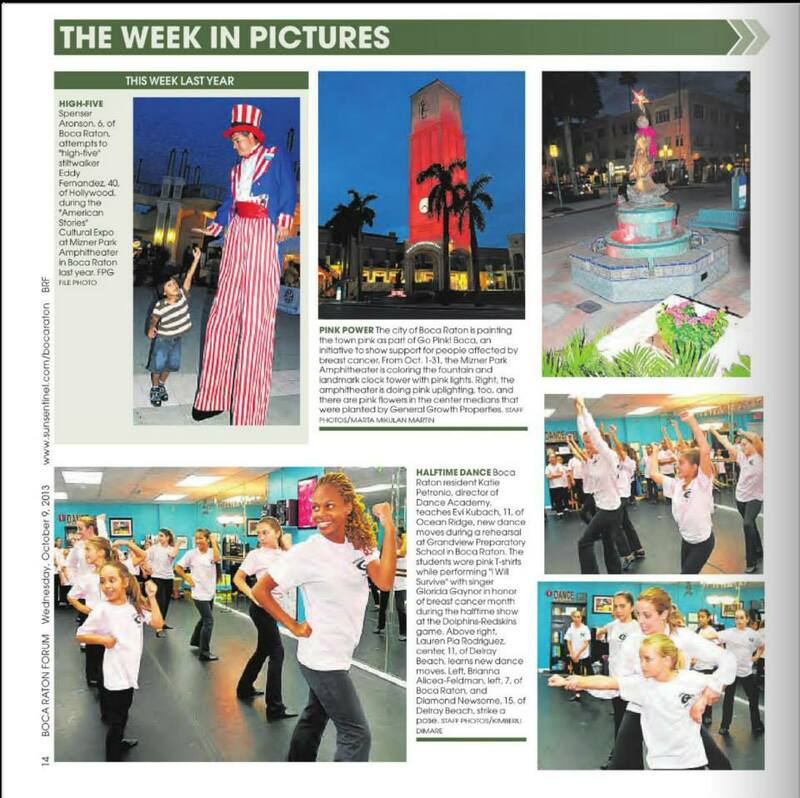 Boca Raton Forum’s “This Week In Photos” features three photos of the Grandview Dance Academy rehearsal. Tags: Dance Academy. Bookmark the permalink.